How to Make a Kite – The Perfect Fall Activity! Learn how to make a kite, and you’ll be ready for some real fun on the next windy day. The EO Atom Kite is ready to fly, flip, and have fun. Don’t want to fuss with making your own? That’s understandable. JM Cremps carries some really awesome kites that are super-fliers, and we are giving our loyal followers a huge discount! This week only, save big on one of our favorite kites. 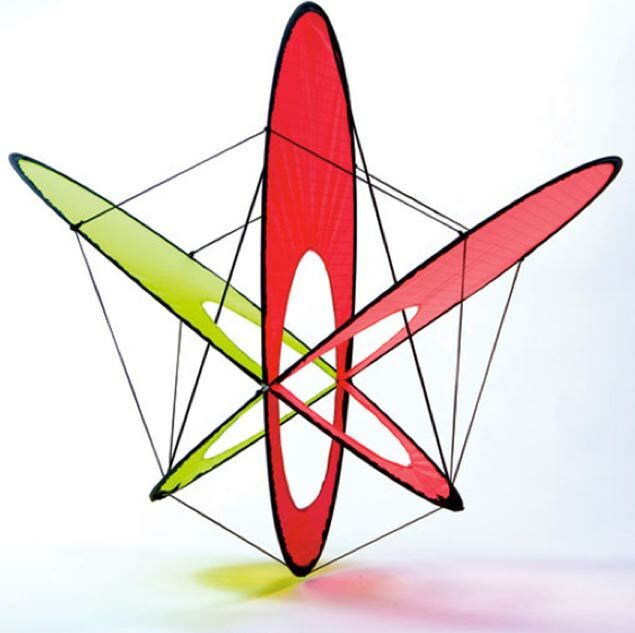 The EO Atom Kite not only looks ultra cool, it’s unique shape offers some fun advantages. When the kite is in the air, give the line a tug and the kite will give you a great tumbling show. Don’t let the crazy shape scare you – it’s still easy to fly. As a special offer to our blog readers, SAVE OVER 25% on the EO Atom Kite right now! Looking for a more traditional kite? Then check out the Jazz Stunt Kite Fire. It’s durable, beautiful, and will fly the blue skies at altitudes that birds dream of. 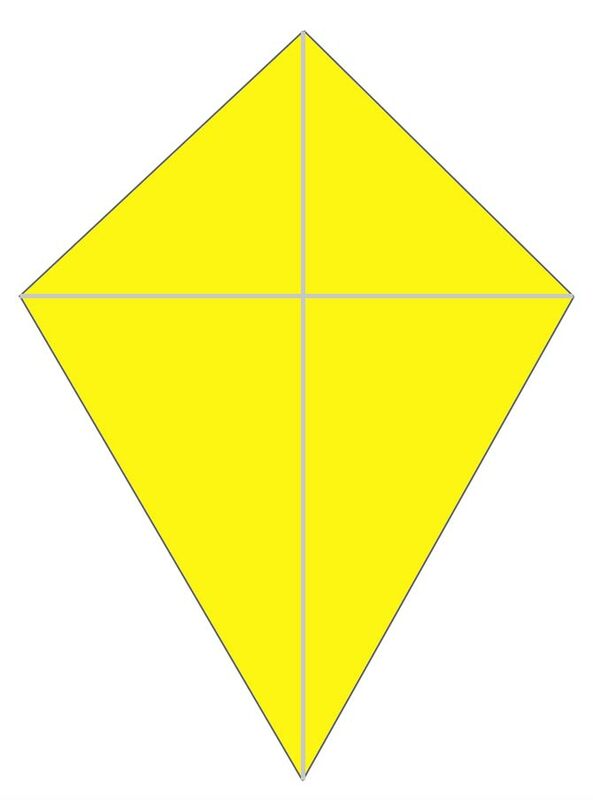 Kites come in many sizes, shapes, and colors, but to keep it simple, we’re going to make a traditional diamond shaped kite. First, before we learn how to make a kite, we need to gather our supplies and tools. 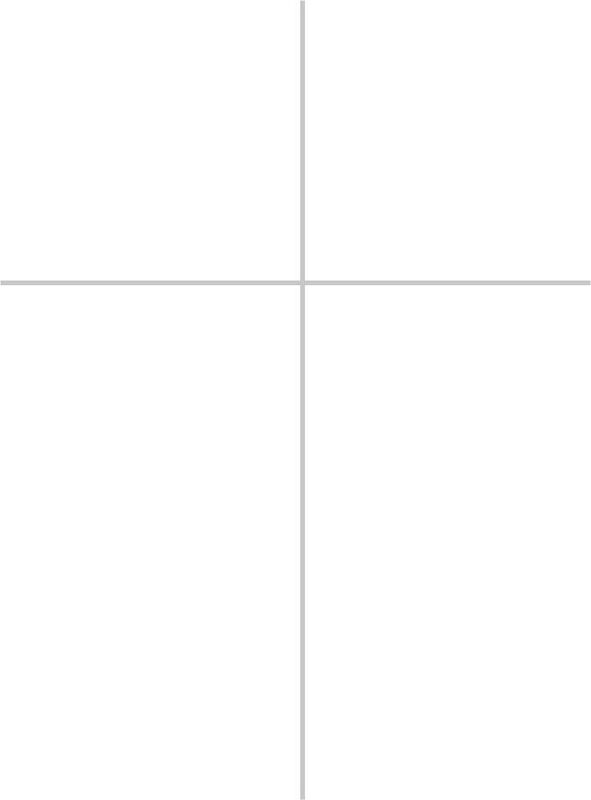 Two wooden dowels. One that is 24 inches long and one that is 20 inches long. Knife for notching your dowel – Make sure parents say it is ok to use a knife! Take your 24 inch long dowel and measure 6 inches from one end. Mark that spot. Take your 20 inch long dowel and measure the halfway spot (10 inches from one end). Mark that spot. Lay the shorter dowel across the longer dowel lining up your marks. Your dowels will now make a cross shape. Glue your dowels together to create the cross-shaped frame. Glue the dowels together where they meet. Once your glue is dried, reinforce this area by wrapping string around and over this spot crisscrossing the string as you go. With a knife, carefully notch each end of your cross so that there is a groove along the edge that the string will slip into. Make sure you carve the notch at least 1/8 inch deep. Take a piece of string and run it along the edge of each dowel to form a “frame” in the shape of a diamond. Make sure the string fits securely in the groove at the end of every dowel. Make sure your string is taut, but not so tight that it bends the dowels or snaps the string. Reinforce the hold by placing a dab of glue on each notch. You’ve now created the frame for your kite! Run string all around the ends of the dowels to complete the frame. Take the garbage bag and cut it open along one side seam and the bottom seam. The bag will now be a flat sheet. Lay the frame on the top of the open garbage bag. Trace the diamond shape onto the bag. 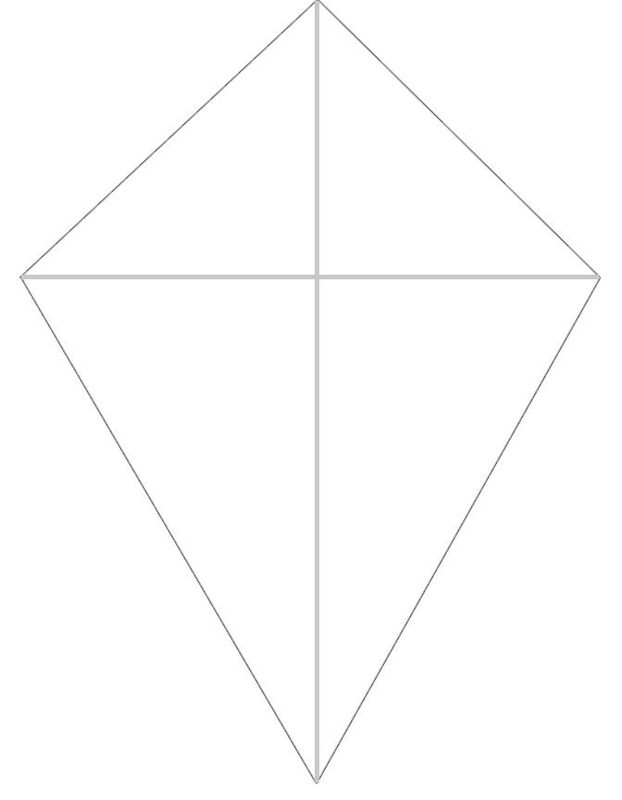 Now it is time to cut out the diamond, but in order to wrap the plastic around the frame, you need to cut the diamond about two inches bigger on all sides than the shape you traced onto the plastic. This will give you enough room to wrap the edges of the plastic around the frame. After you’ve cut the plastic diamond, decorate the top and bottom of it however you would like. Cut out the plastic and secure it to the frame. Place the plastic over the top of the frame. Flip it over, and wrap the edges around the bottom. Tape the edges to the underside of the plastic. You’re almost done! Cut a piece of string 20 inches long. Poke holes in the top and bottom of the kite one inch from each end. Tie one end of the string to the top hole, and the other end of the string to the bottom hole. This is your bridle. Tie the rest of your kite string to the bridle string at about the same point where the dowels intersect. Attach the ribbon by taping it, gluing it, or stapling it to the bottom end of your kite. This is your tail and is important for your kite to fly properly. Now get out and fly your kite! It’s fun and easy. On the next windy day, just start running with the kite dragging behind you a couple of feet. As your kite lifts into the air, let out more string. Be careful of power lines and trees. You do NOT want to fly your kite anywhere near power lines, including the lines running to your house. 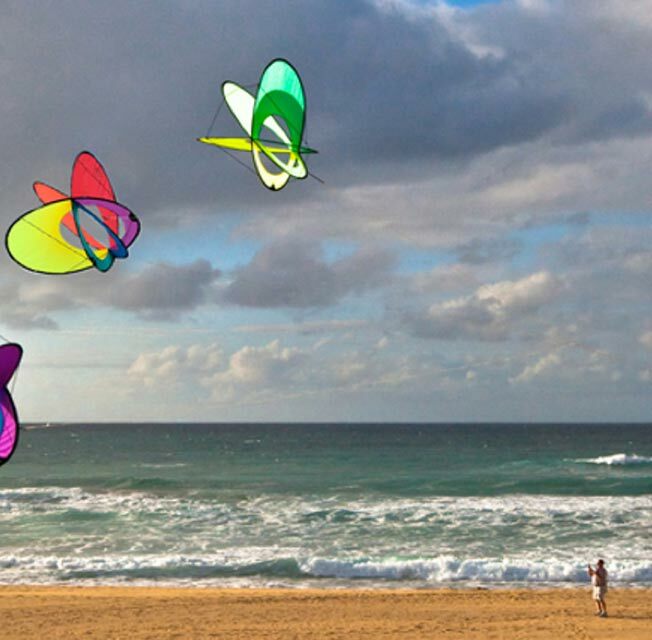 Decorate your kite, then get outside and fly it!